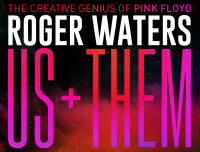 Breaking with the tradition of announcing tour dates all at the same time for a specific region, a further 10 dates have been announced today for the Roger Waters 2018 European Us + Them tour. UPDATE: whilst announcing these, a second night at Auckland's Spark Arena on January 26th has been added, and tickets are on sale now through Ticketmaster.co.nz. Dedicated pages for each show on the tour are now live, joining the dates already shown in the 2018 Roger Waters tour area. The new dates above are being added and will be ready for use shortly! As the rest of the European tour is announced, a page for every concert will be in place: the place to find out information on each show, and to see, once the concert has taken place, pictures, video and commentary.